Back to the drawing board?? What am I trying to learn here? Am I trying to learn how to incorporate ICTs into the classroom, or am I trying to learn how to teach children? Teaching is complex. There are so many variables, so many needs, wants, demands, requirements. There are boxes to be ticked, boxes to be thought outside of and behaviours to be boxed in. It is the epitomy of multitasking. So if incorporating some ICTs can help with any of this, be it time saving, paper saving or behaviour saving, isn’t that a good thing? Why does it have to fall into a RAT category? We’ve discussed numerous times this semester how elusive the ‘transforming’ stage is, yet that is what I, as a pre-service teacher with barely any classroom experience, has to attain in order to receive a high mark for an assessment piece. How many teachers with 10 or 20 years experience can do that? But…..perhaps I should take my negative hat off and find some perspective. This is an opportunity to look at my other Learning Experiences and adapt them to an online experience. That’s what reflection is all about isn’t it? Author robynthestudentPosted on September 14, 2017 Leave a comment on Back to the drawing board?? How good is this website!! I have linked to resources from this site from Scootle before, but I hadn’t checked out the actually website before until today. It is a gold mine! You can search for resources by subject, by Year level and even by the resource you are looking for, be a video, an article or a game. There are also these amazing things called ‘digibooks’. It is literally a digital book that has different things in each chapter. Some chapters might be like a typical book, with a picture and some writing. However, being digital means that other chapters might have videos to watch as well. This is something that could easily be projected onto a whiteboard to assist with a lesson. The digital books cover a wide range of topics for different subjects, from history, to poetry, to indigenous stories, to sustainability. They also cover all the year levels in primary school and in high school up to Year 10. The New London Group. (1996). A pedagogy of multiliteracies: designing social futures. Harvard Educational Review, 66(1), 60-92. Author robynthestudentPosted on September 14, 2017 1 Comment on What a gold mine! I have learned so much about incorporating ICT into lessons! I had no idea that you could connect your iPad to your PC to copy data across. Or that the website flickr.com is a database for images that works with imagecodr.org so that you can find out the licensing before using an image for an assignment (or anything!). Or that PowerPoint can actually be interactive. My ICT learning journey has been an eye opener. I’m really not that tech savvy. I thought I was, but it turns out, not so much. But me and my best friend, Google, have come a long way. How do I create a cloud account (whatever the hell that is!) to save my stuff on? Ask Google. How do I convert a song file into a WMV file? Ask Google. I ask my husband, and his answer is, “Oh yeah, ok, you go to http://www.google.com”. Love it. So now I just ask Google. I know everyone else is asking Siri, but I’m going old school. Not as old school as a typewriter, but old school enough to not to Apple. I’m an Android girl, and I don’t even know how to work that! So let me just stick with Google. I have all of these amazing ideas in my head of what I want to do in a lesson, then I think about how awesome it would be to do an amazing ICT thing, but I have no idea of how it could be done. So I search…and I find out incredible stuff. 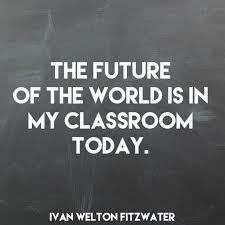 I literally cannot wait until I can put all my learnings into action in a classroom. Even just the simple stuff of using a document camera to read a book to the class. That way I can have the students circle the verbs and underline the nouns while the text is projected onto the whiteboard. I’m really looking forwad to prac. Yup, I’ve got that song in my head now. But boy, am I feeling the pressure now!! I managed to put myself about 4 weeks behind in uni work because I offered to work full-time for a month. Great opportunity…big mistake. Instead of doing one blog a week, I’ve done one a month, which does not add up to enough blogs for our assessment!! Yikes! So, here I am reflecting on choices and hopefully learning from mistakes…and blogging my little heart out. I would like to share some positive things that I have learned during this course, though. I have come to appreciate reflection far more than I used to. It has taken me a while, but I realise that I reflect ALL THE TIME! I usually call it ‘beating myself up for silly decisions I’ve made’, but it turns out it’s reflection. So I employed this reflection quite effectively when writing my unit plan for Assessment 2. I took a good look at some of the activities that I used in Assessment 1 and thought to myself “What would these activities look like in a classroom?” and used the visual of a camera at the back of the classroom to imagine it. Under scrutiny like this, some of the activities seemed a bit weak, so when I was incorporating them into my unit plan, I tweaked, changed and even left out my activities. I received some really great feedback for my first Assessment, which only reinforced my decision to change what I had already written to improve it. Okay, so maybe reflection can be worth it. So I started looking at others students blogs, and realised the importance of networking. The information that some students were posting on their blogs was so helpful when I was researching ICTs to use to enhance and transform my lessons. It really is not what you know, but who you know….and what they know! So that prompted me to create my mind map of my support network. Who is there to help me on my studytochangemylife journey. When I really think about it, I do have support everywhere – the tricky parts are either asking for help or knowing what search words to use! Thanks you to all the othe EDC3100 students who blog about resources and tips, you might not have any idea how much help you provide! Wow, I’m really not that good at this blog thing. I can’t believe it’s been a month already since I started this and I’ve barely posted a thing! Data allowance has reset, so it’s full steam ahead! I have crammed so much uni work into the last 3 days it’s not funny. 2 lecture recordings, 3 zoom session recordings, 2 text book chapters and a moodle book. Now I’ve caught up the first week and am ploughing through the Week 2 workload. Being a uni student with 2 jobs and 2 children is a handful, but I’m only doing 2 subjects, so I guess it could be worse. I’ve read the assessment task sheets for the 3 assignments for EDC3100, and am quietly cringing to myself. It does seem a bit daunting. However, I have learned that I can break daunting things down into manageable parts and turn it into an achievable ‘to do’ list. Once I start ticking boxes I start feeling more in control! It’s just a matter of taking a deep breath and diving in – get the job done. This subject also looks like the kind of subject where it would be a good idea to get started on the assignments as soon as possible. Time gets away on us all, and I’m thinking that Assignment 3 needs to be either done or pretty close to it before prac starts, so that doesn’t leave a huge amount of time to get it all done! Author robynthestudentPosted on July 17, 2017 1 Comment on All systems are go!